Joslin Diabetes Center – What About the Wheat Belly Eating Plan? Good or Bad Idea? Dr. Davis’s central tenant is that genetic manipulations of modern wheat have somehow altered our ability to properly metabolize it. Unfortunately, there isn’t any scientific evidence backing Dr. Davis’s claims. 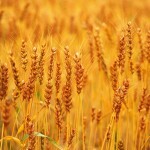 The Wheat Belly Diet erases wheat from the nutrition plan. Is this the best idea?